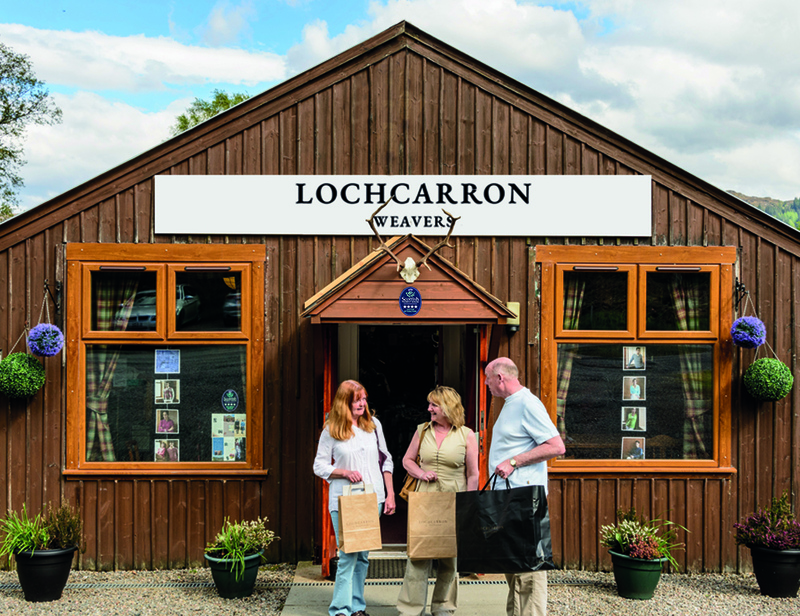 Situated on the banks of picturesque Loch Carron in Wester Ross, Lochcarron Weavers has to boast one of the most scenic locations for a shop! 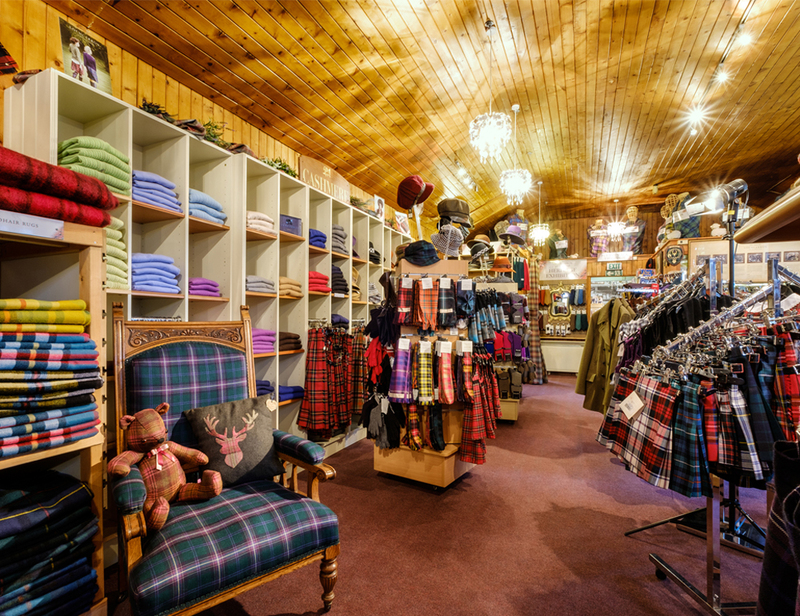 And when you step inside our quintessentially Scottish store you will find a wonderful range of tartans, luxury knitwear, kilts, tweed clothing all complemented beautifully with just the right accessories. You can buy these top quality Scottish products in the finest natural fibres including cashmere, lamora, mohair and lambswool. We look forward to welcoming you here in Lochcarron very soon. If you are looking to buy Highland Wear then look no further, Lochcarron of Scotland produce the finest quality premium heavy weight kilts and highland wear on the market. And you will be in very good company as we have kilted numerous celebrities and VIP’s over the years as well as manufactured tartan for clans and societies and the world’s top fashion houses. 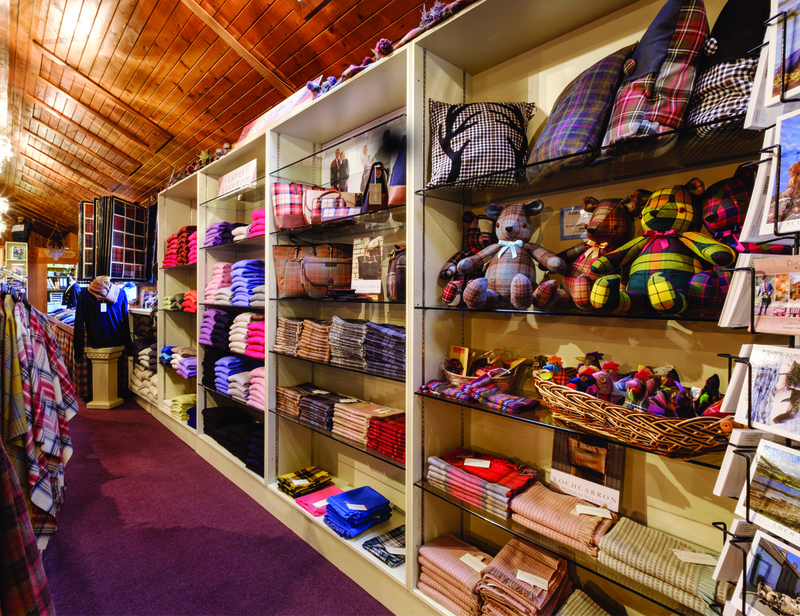 As the world’s leading manufacturer of tartan we have over 700 authentic Scottish tartans available to you, all woven at our Selkirk mill. From this extensive portfolio of fabrics we can offer everything from bespoke handmade kilts and highland dress, through to made to measure tailored skirts, trews and a full range of accessories including tartan ties, jackets, sporrans, belts, buckles, socks, flashes, crested cufflinks and sgian dubh’s. With him Mrs Josephine Buchan, mother of the company’s founder Morris Buchan, it was Josephine’s job to manage the new work place. Local wool spun by the women of Lochcarron and the surrounding parishes was used in the making of tweeds, white blankets and rugs. Woven on handlooms the products were first exhibited at the Kyle of Lochalsh Show. Ten years later Hattersley looms and yarn were sent from Galashiels and the first piece of tartan was woven in 1949 – a length of ‘Crawford Tartan. Since these humble beginnings, Lochcarron of Scotland has gone on to become the world’s leading manufacturer of tartan. And we are very proud that the company still bears the name of where it all began more than 60 years ago. Joy Moran who will be happy to help you. 65 miles from Inverness on the A9, A832 to Garve, A890 to Lochcarron. The shop is situated on the banks of the Loch Carron in Wester Ross, find us by heading 2 miles west out of the village of Lochcarron towards Strome.